The Averis Scholarship Programme is open for Malaysian students who going to pursue or currently pursuing Accounting / Accounting & Finance students. Be assigned to a mentor for personal growth. 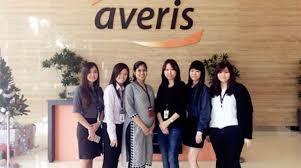 Enjoy internships at Averis and develop industry-related skills. Hone your leadership skills and participate in our various training programmes. Enjoy employment opportunities and cross-business assignments. * Scholars are required to serve a 30-month bond. The application deadline is 5th April 2019.